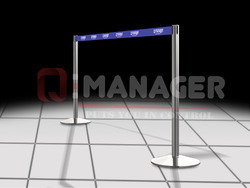 Q-Manager offer Retractable Belt Barriers and Stanchions in Stainless Steel, Stainless Steel Posts, SS Belt post etc. Packing Type: As per customer required. 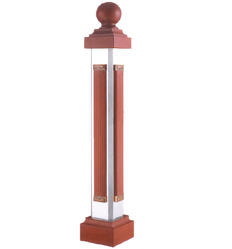 We are offering SS Lamp Post to our client. 3" Stainless Steel Post (Master Piller) set 202 gr. • Posts are made of stainless steel with diameter 10mm. • M4 tapped hole at one end and M6 tapped hole at other end. - 3 Diameters 12mm, 16mm, 19mm models available. - Stainless steel posts are basic components needed for any breadboard mounting. Each post is threaded on one end only with a M6 thread. The post holders below are needed for mounting to a breadboard. All dimensions in mm. As per the needs and requirements of our clients, we are involved in providing Stainless Steel Badminton Post.